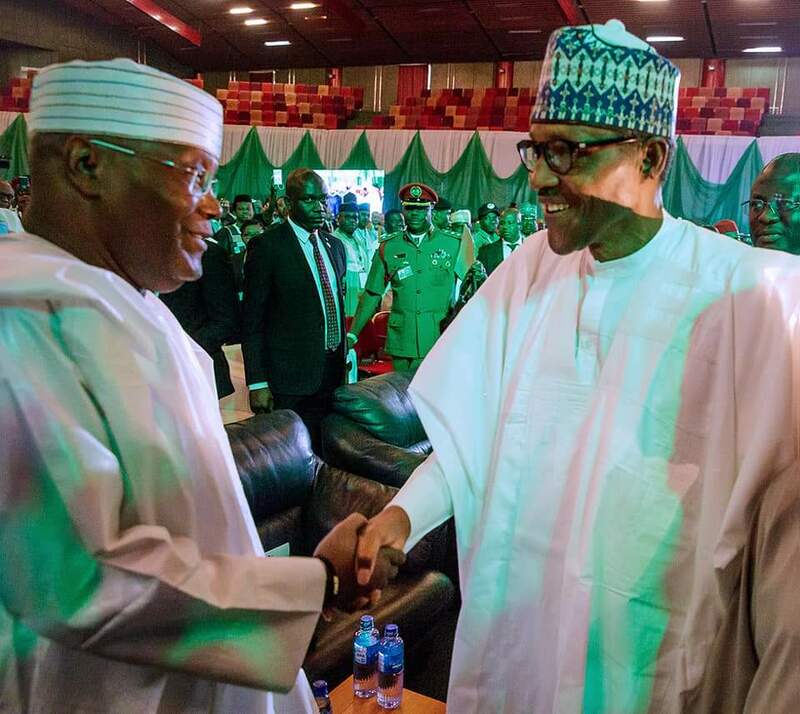 The APC being the 3rd Respondent to the Petition filed by Alhaji Atiku Abubakar and Peoples Democratic Party (PDP) has filed its REPLY to the petition and as a threshold issue, the 3rd respondent has also urged the court, by way of preliminary objection to dismiss or strike out the said petition wholly or in part as may be appropriate. 12)	The petition as presently constituted is devoid of necessary particulars/information to support allegation of corrupt practices, violence and non – compliance with provisions of the Electoral Act. 13)	Paragraphs 163, 164, 165, 166, 167, 190, 195, 196, 197, 198, 200, 253, 254, 260, 261, 262, 264, 265, 289, 290, 291, 292, 293, 294, 295, 296 (except (d) and (e), 298, 299, 302, 303, (except (d)) 309, 323, 324, 330, 332, 338, 339, 340, 341, 342, 345, 357, wherein allegations of corruption, treating manipulation, violence, intimidation, propaganda and forceful ejection were made against Professor Yemi Osinbajo SAN, the Vice President of the Federal Republic of Nigeria, General Buratai, the chief of Army Staff and Mr. Bako of the Nigerian broadcasting corporation respectively without them being joined to the petition are bad and liable to be struck out. 14)	Paragraphs which alleged arrests, harassment and intimidation by the Nigerian Police and Nigeria Army when the agencies were not Respondents ought to be struck out, namely: Paragraphs 227,231, 232, 233, 234, 236, 250, 293, 299, 302, 303, 306, 308, 309, 310, 317, 322, 328, 329, 333, 335, 373, 381 and 380. 16)	Paragraphs 388, 389, 390, 391, 392, 393, 394, 395, 396, 397, 398, 399, 400, 401, 403, 404 ought to be struck out in that they deal with propriety of information supplied in 2nd Respondent’s Form CF001 which is a pre-election cause of action within the context of Section 31(5) and (6) of the Electoral Act 2010 and which is statute barred. 17)	Paragraph 15(e) as well as Relief 409(e) be struck out in that they are outside the contemplation of Section 138 (i) of the Electoral Act 2010, and within the context of Section 31(5) and (6) of the Electoral Act, and outside the jurisdiction of this Honourable Court sitting as a Court of first instance in a Presidential Election Petition. 18)	The 3rd respondent has urged the Court to strike out paragraph 15(b) and (c) of the grounds of the petition and also paragraphs 107 to 363 which allege acts of non-compliance with the Electoral Act, 2010 as amended and paragraphs 364 to 387 which allege corrupt practices in that the petitioners are not seeking any reliefs based on those two grounds. It will amount to sheer academic or hypothetical exercise, which the Court has no jurisdiction to entertain. 19)	3rd Respondent has urged the Court to strike out paragraphs 389 and 390 of the petition which pleaded Section 31(1) and (2) of the Electoral Act, 2010 as amended contrary to the rule forbidding the pleading of law. 20)	The petition is incompetent and in gross violation of section 2(1) and 24 of the legal Practitioners Act, having been signed by an unknown individual and/or entity. 1)	The 3rd Respondent vehemently denies paragraph 1 of the petition and states that the 1st petitioner had no right to be voted for and returned in the election to the office of President of the Federal Republic of Nigeria held on Saturday 23rd February, 2019 having regard to the clear provision of Section 131(a) of the Constitution of the Federal Republic of Nigeria (CFRN) 1999 as amended which unequivocally stipulates inter alia, that for a person to be qualified for election to the office of President, he must be a citizen of Nigeria by birth. 2)	Further to paragraph 1 above, the 3rd respondent states that the 1st petitioner is not a citizen of Nigeria by birth and ought not to have even been allowed in the first place, to contest the election. i)	The 1st petitioner was born on the 25th November, 1946 in Jada, Adamawa, in Northern Cameroon and is therefore a citizen of Cameroon. iii)	Prior to 1919 Cameroon was being administered by Germany. But following the defeat of Germany in World War 1 which ended in 1918, Cameroon became a League of Nations mandate territory which was split into French Cameroons and British Cameroons in 1919.
iv)	British Cameroons was administered by the British from neighbouring Nigeria. v)	In 1961, a plebiscite was held in British Cameroons to determine whether the people preferred to stay in Cameroon or align with Nigeria. vi)	While Northern Cameroon preferred a union with Nigeria, Southern Cameroon chose alignment with the mother country. viii)	It was as a result of that plebiscite that Northern Cameroon which included Adamawa became a part of Nigeria and by derivation, the 1st petitioner became a citizen of Nigeria but not by birth. ix)	The 1st petitioner therefore, contrary to the assertion in paragraph 1 of their petition, had no right to be voted for as a candidate in the election to the office of President of the Federal Republic of Nigeria held on 23rd February, 2019 across Nigeria. 4)	The 3rd Respondent avers that by reason of the 1st petitioner not having qualified to contest the election, all votes purportedly cast for the petitioners at the 23rd February, 2019 election and as subsequently declared by the 1st Respondent on 27th of February, 2019 are wasted votes. 5)	The 3rd Respondent vehemently denies the averment in paragraph 4 of the petition and states that the 1st Petitioner is not a qualified candidate to participate and/or to be sponsored by a political party to participate on its behalf as a Presidential candidate in the said election of 23rd February, 2019 not being a Nigerian by birth and all votes purportedly cast for the 1st and 2nd petitioners at the 23rd February, 2019 election and as subsequently declared by the 1st Respondent on 27th of February, 2019 are wasted votes in that the 1st petitioner was not qualified to contest the said election and the 2nd Petitioner did not field a qualified candidate for the said election in the first place or at all. 6)	The 3rd Respondent denies paragraphs 26 and 27 of the petition and put the petitioners to the strictest proof of the averments contained therein. The 3rd Respondent states further that, valid and proper election was conducted in substantial compliance with the electoral Act, Approved Guidelines for the election and 2019 Manual for Poll Officials. The 3rd Respondent states that it is not the duty of the presiding officers to input the results from the polling units at the end of voting and transmit same directly to the server as alleged as there is no provision for such in the Electoral Act and no presiding officer of the 1st Respondent directly inputted results from the polling unit at the end of the voting and transmitted directly to any purported server. 7)	The 3rd Respondent avers further that results were recorded during the election with form EC8As at the polling units which were then taken to the wards collation centres for collation of all the results from each unit that makes each ward throughout the country. The 3rd Respondent shall contend at the trial of this petition that the usage of smart card readers during the election was neither an all-embracing procedure adopted by the 1st respondent in the 23rd of February, 2019 Presidential Election nor was it an end in itself but a mean to an end which implies that the usage of same for the election was not sacrosanct and compulsory. 8)	The 3rd Respondent avers that it is not correct as contended by the petitioners in paragraph 26 of the petition that results from each polling units were uploaded and transmitted electronically by officials of the 1st Respondent through smart card readers to the 1st Respondent servers but rather the 1st Respondent used the method appropriate for the transmission of the result during election in line with prevailing circumstances as enjoined by the Electoral Act (as amended). 9)	The 3rd Respondent avers further that manual technology 2019 was the figment of the imagination of the petitioners as smart card readers were nether used for electronic collation and transmission of result and infact, no electronic transmission and collation of result were employed during the election by the 1st Respondent and the so called video demonstration of deployment of smart card reader for authentication of accreditation for transmission of data was not part of the February 23rd, 2019 presidential election. 10)	The 3rd Respondent shall contend at the trial that there was no extract of data in the 1st Respondent servers as at 25th February, 2019, 2 days after the elections except the one contrived, concocted and manipulated by the petitioners themselves using unorthodox method of hacking and insinuating/cloaning the 1st Respondent servers and web-site to procure fake results, false data and false information. 11)	The 3rd Respondent avers that the electronic data on the server of 1st Respondent pleaded in paragraph 29 of the Petitioners’ petition are false and non-existent and pure image creation of the Petitioners. 12)	The 3rd Respondent states that, card reader was meant to be used optimally where the card readers functioned optimally but where the card reader machines cannot identify the permanent voters card of a voter, manual accreditation can be employed, but the affected voters must thumb print the voters register and supply his/her phone number which must be written on the voters register. In any event, a card reader was used only for purposes of authentication. 13)	The 3rd Respondent avers with further reference to paragraph 32 of the petition that voiding an election as a result of non-usage smart card reader is a position taken by the petitioners in their illusory minds which they intend to impose on other Nigerian without legal backing. 14)	The 3rd Respondent shall contend at the trial that the 2nd Respondent was duly elected by the majority of lawful voted cast at the 23rd of February, 2019 presidential election contrary to the wishful thoughts of the petitioners in paragraph 33 of the petition and assert further that the so call imaginary data of each state of the Federation and the Federal Capital Territory, Abuja and the fake server of the 1st Respondent contrived and concocted by the petitioners will have no effect on the authentic result declared by the 1st Respondent in favour of the 2nd Respondent. 15)	3rd Respondent denies paragraph 388 of the petition and hereby puts the petitioners to the strictest proof of same. 2nd Respondent is/was eminently qualified to contest the election to the office of the President of the Federal Republic of Nigeria, having been educated up to at least school certificate level or its equivalent. The Respondent shall found and rely on the relevant educational qualification or its equivalent at the trial of this petition. 16)	3rd Respondent states that paragraphs 389 and 390 of the petition have merely pleaded the substance of Section 31(1) and (2) of the Electoral Act, 2010 as amended which in any case is contrary to the rule of pleading forbidding the pleading of law and are liable to be struck out. 17)	The 3rd Respondent states that the 2nd Respondent’s completed Form CF001 and accompanied same with requisite affidavit of compliance, which were submitted to the 1st Respondent by his party, All Progressives Congress. 18)	Respondent denies paragraphs 393, 394, 395, 396, 397, 398, 399 – 405 of the petition and puts the petitioners to the strictest proof thereof. 19)	In further reaction to paragraph 393 of the petition, 3rd Respondent avers that 2nd Respondent duly complied with the requirements of the law as to his qualification for election to the office of the president and the 1st Respondent having seen all the information and materials submitted by the 2nd Respondent, was satisfied with the information so provided. 20)	In further reaction to paragraphs 395 and 396 of the petition, 3rd Respondent avers that the 2nd Respondent duly complied with section 31(2) of the Electoral Act in accompanying the information submitted to the 1st Respondent with a declaration sworn to by him before a Commissioner for Oath, at the Federal Capital Territory High Court, Registry on 8th October, 2018 indicating that he fulfilled all the constitutional requirements for the election to the office of the president and same is quite distinct and separate from the general form of affidavit explaining the whereabout/location of his academic qualification document in the possession of the Secretary, Military Board. d)	Petitioners have in the circumstances waived their right to complain about the educational qualification of the 2nd Respondent or about the information contained in the 2nd Respondent’s form CF001, and in any event same had become statute barred.